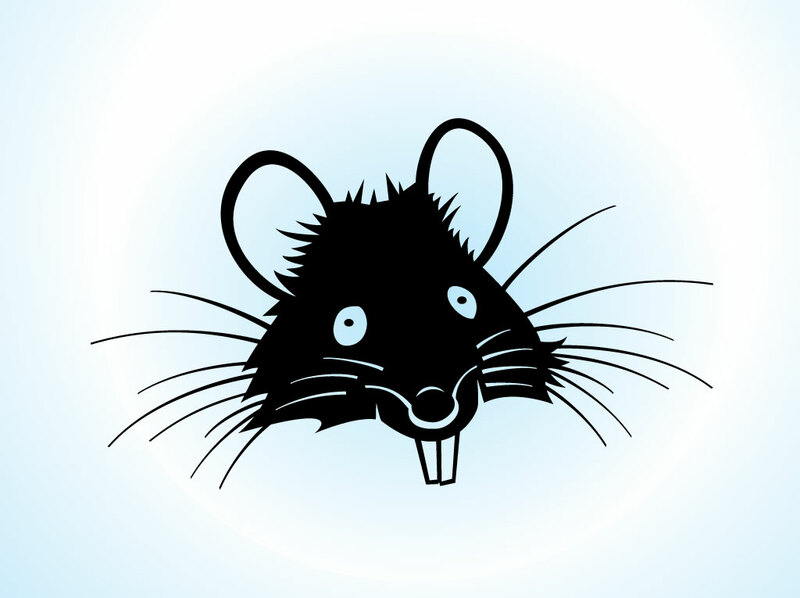 Cute cartoon vector of a rat head. Black graphics set on a blue and white radial gradient background image. Download this free rodent art for a company logo emblem, punk rock tattoo images, pest control flyers and comic style illustrations. Cool vector image for your rat caricature, mouse, mammal, vermin, pet and mascot graphics. Tags: Caricature, Cheerful, Grin, Mammal, Mascot, Mouse, Rodent, Vermin.